A push to urgently transfer sick asylum-seekers on Manus Island and Nauru to Australia has been put off until next year, saving the Coalition Government from a humiliating parliamentary defeat. Source: 9news.com.au. 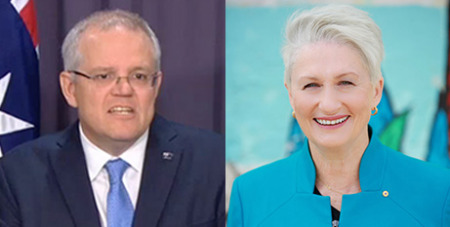 But independent Sydney MP Kerryn Phelps – who has been driving laws that would have allowed the transfers – is determined for them to be dealt with when parliament resumes in 2019. “The plan is for the first day back in February, for this to be dealt with,” Dr Phelps told Sky News yesterday. Prime Minister Scott Morrison yesterday vowed to use any tactic necessary to stop the legislation to allow critically ill refugees to be flown to Australia for medical treatment on the advice of two doctors. “I will do everything in my power to ensure that these suggested changes that would undermine our border protection laws never see the light of day,” he told reporters. Conservative minor party senators Pauline Hanson and Cory Bernardi led the time-wasting efforts in the upper house, scuttling hopes the bill would be debated in the lower house. Support from the Greens, Labor and crossbenchers secured its passage the Senate, but not in time to return to the House of Representatives for approval. After running down the clock on the refugee bill, the government avoided the first loss of its kind since 1929. Australia’s border protection policies will not be affected by the changes, because a minister will still able to stop the temporary transfers on national security or character grounds, she said. “It will not restart the boats. The sort of rhetoric that we were hearing earlier is just plain wrong,” Dr Phelps said.